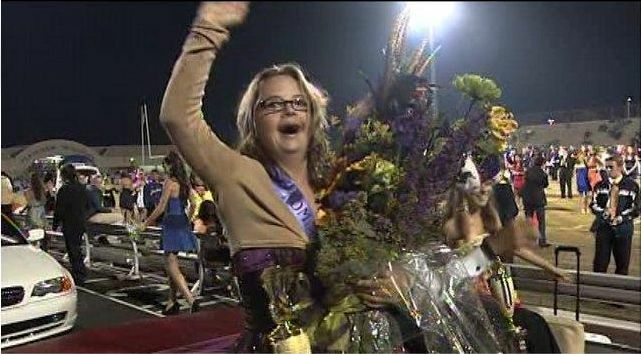 Remember a few weeks when I shared posted the story of Cara Stieglitz, a local teen with Down syndrome who was crowned homecoming queen? Well, today the Florida Times-Union featured her inspirational journey on the front page! Get your tissues ready and check out this beautifully written story by Times-Union columnist, Mark Woods. I cried as I read Cara’s story this morning. Her family’s story is one of great inspiration as we begin the journey of raising our sweet Molly. When things get tough or I’m having a bad day – I plan on reminding myself of the Stieglitz family and their strength. This story of hope gives me comfort knowing that all things are possible – even for those with an extra chromosome! I love that the teachers also "picked out" a date for her. Would love to know more about that story…who it was, etc. Molly has such a great chance at a great life with you as her mom! Beautiful story! Such an inspiration. God has such an amazing plan for each us of us and everyone in our lives has a purpose in his ultimate plan! Mark did such a great job with this story. Cara, her parents and her siblings really are inspirational. And I can only imagine how Cara has changed the lives of the students and staff at Fletcher who are lucky enough to know her.